Can I take vocational training continuously? Is it possible to attend? Hello. 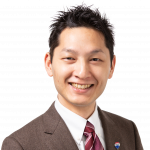 It is Hasegawa of the world NO, 1 real estate company "remax" agent. Today I will talk about whether I can take consecutive classes after receiving vocational training for 3 months or 1 year. From the conclusion it is not possible to wait for one year. As an exception, if you have a practical course after receiving the basic course you can take consecutive lectures. However, basically it will only be accepted one year after receiving once, so I think that you should be aware of that point. Please be sure to refer to it.